Learn about the activities in Cancun for which you are eligible; from a bike ride to a night dive, and choose the ones you like to enjoy your holiday in this young city. Cancun has always been known for its beautiful beaches of fine white sand and the turquoise sea and white foam making waves breaking on the beach. But there are other activities in Cancun you can do apart from go swimming at a beach or sunbathe in your bathing suit lying on a cot. In the city of Cancun activities will always be done, either day or night, the city can surprise you with its warmth and entertainment everywhere. While the activities planned in Cancun you want to make in order to properly enjoy the time of your stay in this beautiful city. If you’re staying at a hotel in Cancun Hotel Zone have access to the hotel’s beaches, being there you may think that with the pool and the all inclusive package is enough, but no. Cancun has great public beaches where the surf is a work of art in motion, you are certainly engrave an image in your mind forever. On the beach you can play volleyball bowl or make sandcastles, do some exercise or walking on the sand soaking your ankles with the foam of the waves. It is very important that you are at all times aware of the flags placed lifeguards, as sometimes is not a good idea to swim due to the high waves of the Caribbean. 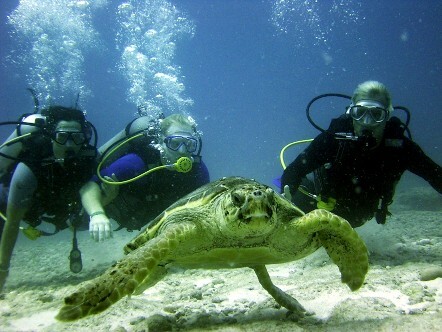 In the Riviera Maya you can find excellent reefs where you can snorkel. On the island of Cozumel is the second reef system in the world’s largest coral fish here can find a variety of colors and discover the fabulous underwater world. One of the main activities in Cancun for the diving is diving in the Cancun Underwater Museum called MUSA, which was created in 2009. Practice a water sport is an amazing experience, and is an excellent alternative to enjoy the beach from the other side. On the beaches you can find places to rent jet skis at low cost with which you can take a walk along the beaches. Although if you prefer you can ride small sailing or windsurfing, jump on a ride to the banana. If you are not afraid of heights then the parachute ride is an activity in Cancun you have to make, enjoy the beach from the sky. Enjoy a good dish is very easy, as the Rivera Maya restaurants offer the opportunity to taste exclusive dishes and a very warm and tropical Mexican service. In Cancun you can find many influences of Yucatecan food so if you are visiting you must try the roasted suckling pig is a must dish. Restaurants offering seafood undertake to bring you the freshest food to make it a delight to the palate your experience with them. The Mayan Riviera is a grand and huge place so well that decides activities in Cancun decide to make your time well and plan to enjoy every moment and explore beyond Cancun.